Micromax on Thursday launched three new budget 4G smartphones in India: Canvas Blaze 4G, Canvas Fire 4G and Canvas Play 4G. While the Canvas Blaze 4G and Canvas Fire 4G are priced at Rs. 6,999 each, the Canvas Play 4G is priced at Rs. 12,499. All three smartphone run Android 5.1 Lollipop out-of-the-box. 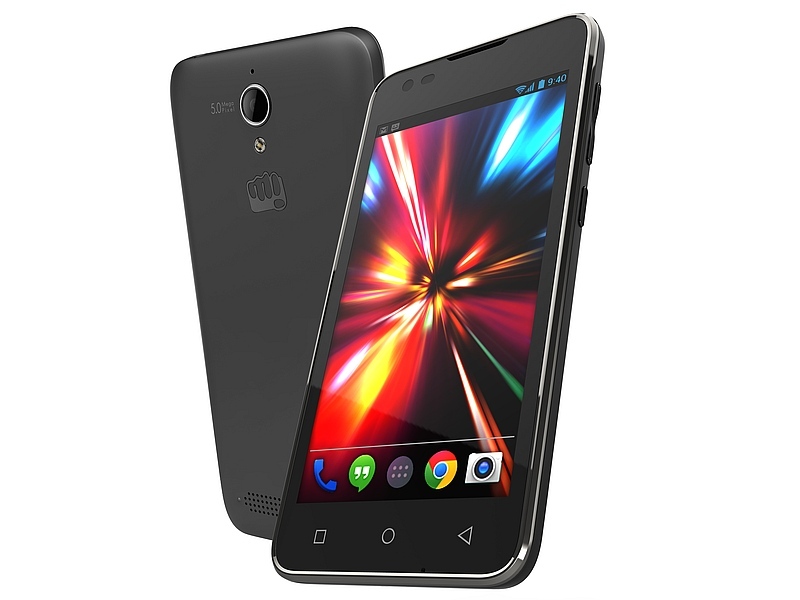 Already listed on the company website and an e-commerce website, the dual-SIM Micromax Canvas Blaze 4G (seen above) features a 4.5-inch FWVGA (480×854 pixels) IPS display and is powered by a 1.1GHz quad-core Qualcomm Snapdragon 210 (MSM8909) SoC coupled with 1GB of RAM. Sporting a 5-megapixel rear autofocus camera with LED flash, the Micromax Canvas Blaze 4G also sports a 2-megapixel front-facing camera. It bears 8GB of built-in storage that is expandable via microSD card (up to 32GB). Apart from 4G, other connectivity options of Canvas Blaze 4G include 3G (HSPA+), Wi-Fi 802.11 b/g/n, Bluetooth 4.0, Micro-USB 2.0, GPS/ A-GPS, and a 3.5mm audio jack. The smartphone is backed by a 2000mAh battery that is rated to deliver up to 220 hours of standby time and up to 6 hours of talk-time. 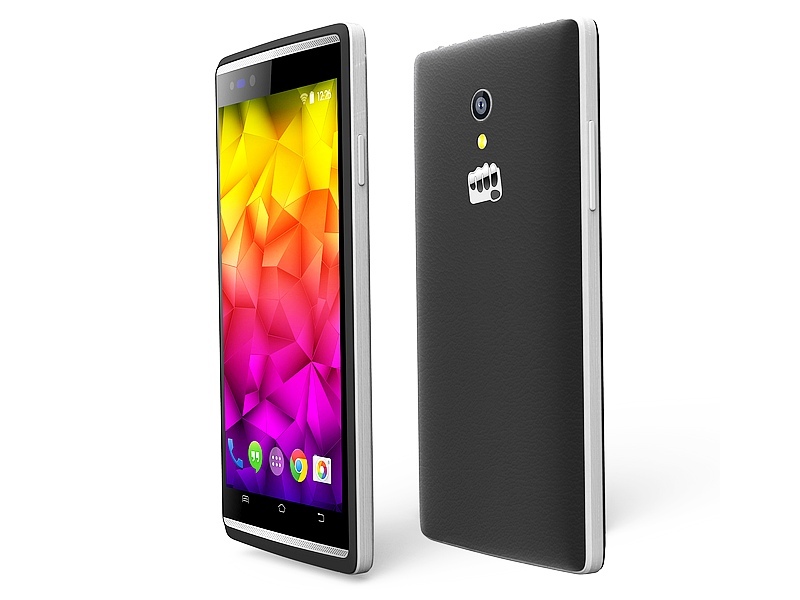 Micromax Canvas Blaze 4G bears an accelerometer, ambient light sensor, and proximity sensor. 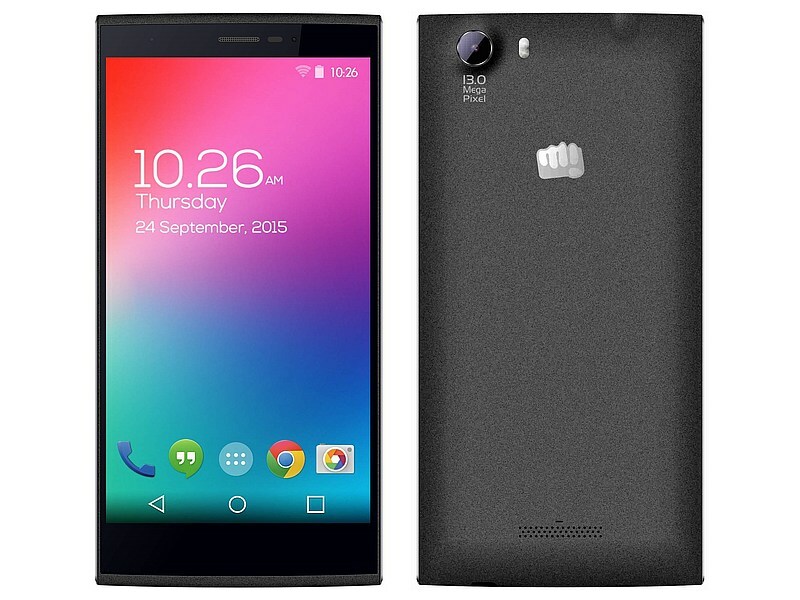 The Micromax Canvas Fire 4G (seen above) is identical to Canvas Blaze 4G, except the processor and the battery. The Canvas Fire 4G is powered by a quad-core MediaTek MTK6735 processor clocked at 1GHz, and is backed by a slightly lower 1850mAh battery. The smartphone was introduced earlier this month. The Micromax Canvas Play 4G (seen above), being the costliest model out of the three, features a 5.5-inch HD (720×1280 pixels) resolution IPS display covered with Corning Gorilla Glass 3. It houses 13-megapixel autofocus rear camera and a 5-megapixel front-facing fixed-focus camera for video chats. In addition, the handset runs on a quad-core Qualcomm Snapdragon processor (unknown model) clocked at 1.2GHz, clubbed with 2GB of RAM. Besides featuring a 16GB of expandable storage, the smartphone is backed by a 2820mAh battery.